Stratford Triumph Indoors and at Walton! 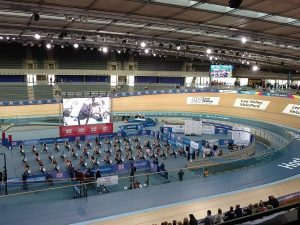 Saturday 9th December saw Junior members of Stratford upon Avon Boat Club compete in the 2017 British Rowing Indoor Championships (BRIC) at the Olympic Velodrome in Stratford, London. 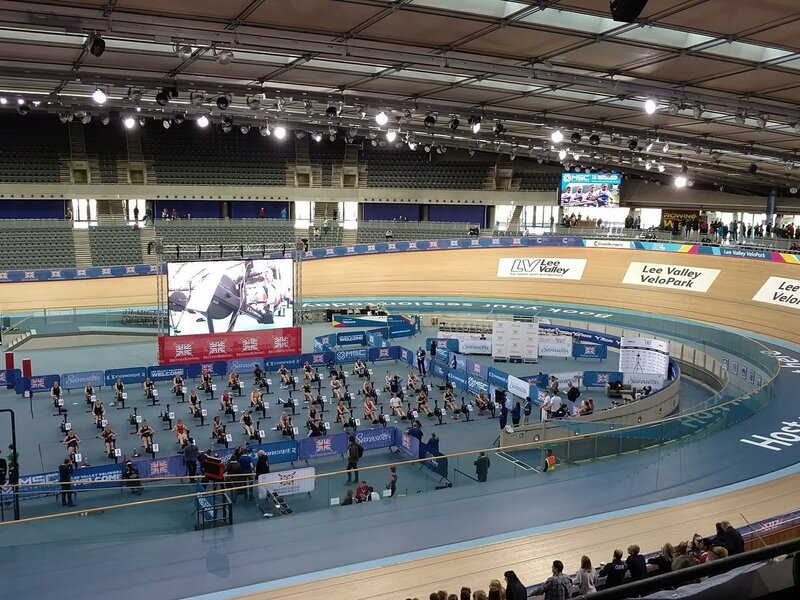 This year saw a record number of entries from both home and abroad with all spectator tickets sold out before the event. 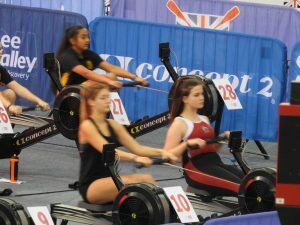 Sophie Elstone, Harriet Hodgson and Will Clarke from the J14 squad and Nixie Brunt from the J15 squad competed in front of a crowd of well over a thousand cheering spectators, performing magnificently against such high calibre competition. In the Year 9 500m events, Sophie Elstone came third in her heat to be placed finally in tenth position with a time of 1:50.4, with Harriet Hodgson in twenty first place with 1:54.8 out of a field of sixty eight competitors. 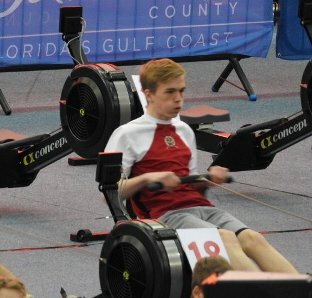 In the boys 500m heat, Will Clarke fought hard for a well deserved twelfth place in a field of twenty four with a time of 1:42.1. 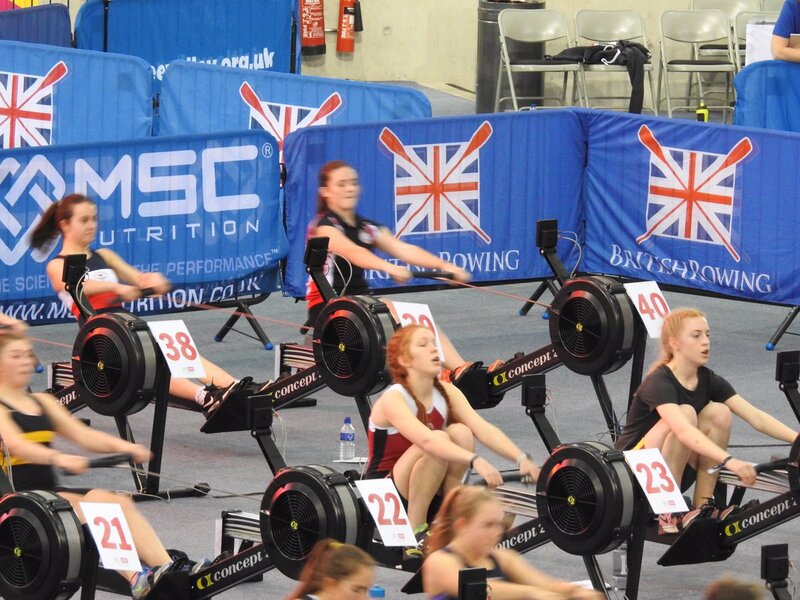 Nixie Brunt won a very well deserved Bronze medal in her Year 10 500m event alongside fifty two fellow competitors. With an amazing time of 1:40.9, Nixie narrowly missed Silver by less than half a second and was only 2.5 seconds behind the Gold medal position. 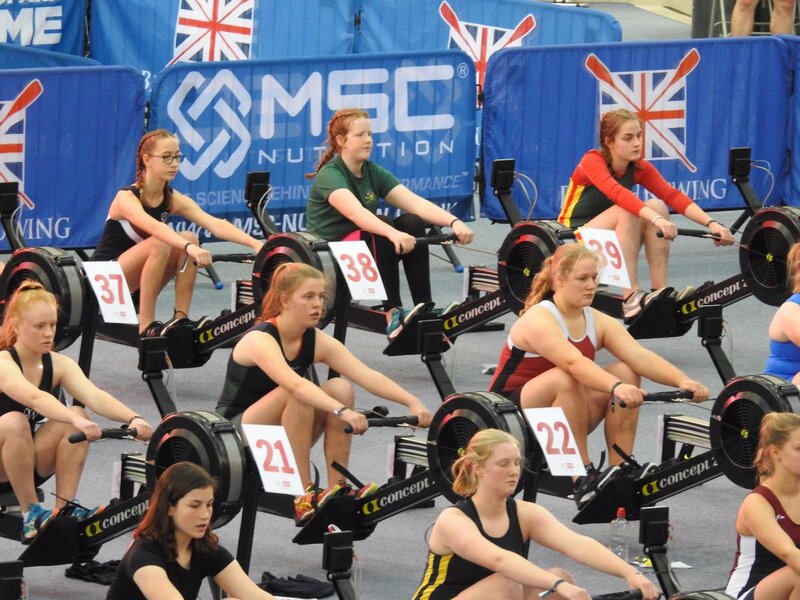 The afternoon saw the age group timed events, with the J14s competing over four minutes and the J15s five minutes. 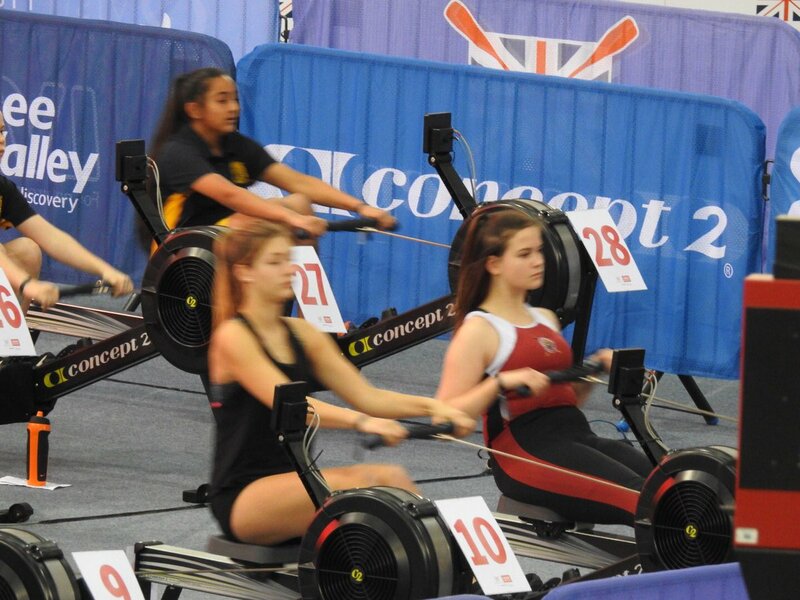 In the Y9 four minute races Sophie came thirteenth with a distance of 1008m with Harriet thirty seventh with 962m in a huge field of ninety two competitors. Will Clarke finished well, in nineteenth place rowing 1065m against fifty two competitors. 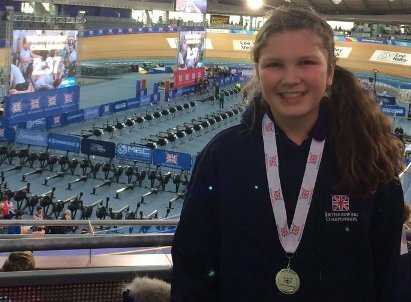 Nixie in the Y10 five minute race finished in tenth position with a field of seventy one, with an outstanding distance of 1305 metres. 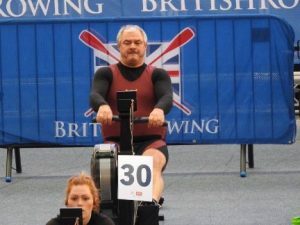 Stratford upon Avon Boat Club Junior Squad Coach Trevor Tiller competed in the Men’s Open 2000m event: this was against members of the Great Britain rowing squad along with newcomer to the sport Sir Bradley Wiggins. 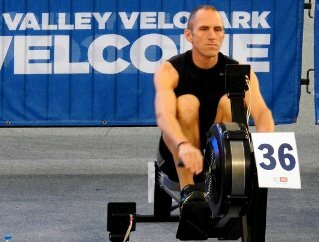 Clearly pleased with gaining a new personal best of 7:32.1, Trevor was also surprised to discover he was only seventy seconds behind Sir Bradley. Further local entries included recent Stratford upon Avon Boat Club learner Millie Hodgson winning the Silver Medal in the Year 7 500m event with a time of 2:01.8 and just missing out on a Bronze in the Y7 two minute time event by a mere three metres! Harriet and Millie’s father Ed Hodgson also raced in the Masters 40-49 age group, pushing fantastic times in both his 2000m and 500m events with times of 6:50.3 and 1:28.6 respectively. Following close behind was Gary Clay and Tom Doherty in the double scull Masters E age group race. A field of nine crews containing National Championship medalists lead to some hard but very close racing with only one minute and nine seconds separating the entire field. 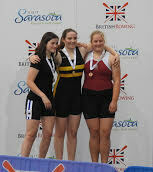 National Medalists and home crew Walton put in an excellent performance to win the event in a fast time of eleven minutes and thirty eight seconds. Stratford finished in a very creditable mid table position in a time of eleven minutes and fifty nine seconds in a dead heat with Molesey Boat Club and beating Bentham Boat Club by a mere one second over the three kilometre course!